Ken McNaughton, President and CEO of Camino Minerals Corp. is justifiably pumped as he talks to The Prospector from his Burrard Street office. 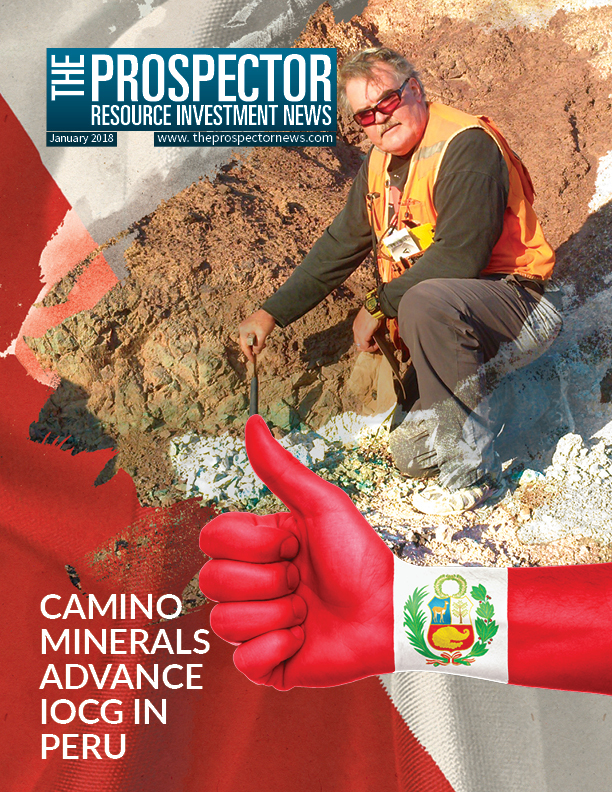 Klondike Silver (KS: TSX-V, K1SN: FSE) is a one-of-a-kind junior mining company. As 2018 dawns, an upside replay for the metals and miners looks highly probable. A steadily growing number of market watchers and pundits of various bents has been warming to the idea of a new secular bull market in commodities being underway. 20 What Trumps Dollars and Gold? I have commented and written extensively on the generally negative correlation of the US dollar and gold. Sitting somewhere on a hard drive in what I assume is a landfill is about one half of a Bitcoin that used to belong to me. Newrange Gold Corp. strides into 2018 with news of a “host rock” find in the Nevada desert.